How to Watch iTunes Videos on PS3? 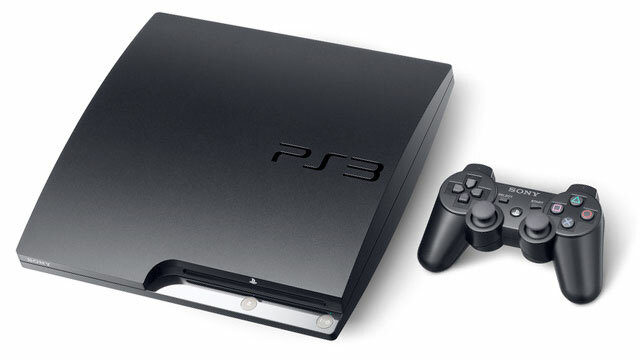 PS3 was announced on Nov 11th, 2006 in Japan and later on 2009 the improved PS3 Slim entered the market slimmer and with more capacity. Though PS4 has come out, PS3 will not be given up by its users because as a game console and media player, it supports high-definition Blur-ray disc as its primary storage medium. And it is also a good player for DVD and AVI videos. Another surprising thing is that it supports playing videos of bad quality and in the meantime, improves the displaying effect in colors and picture details. There is no doubt that PS3 is a good player for watching game videos, iTunes videos, etc. However, PS3 users may find game videos of AVI format while iTunes videos of AVI format can never be found. iTunes videos are all M4V format protected by FairPlay DRM and only playable on Apple devices. Therefore can iTunes videos never be played on PS3? AVS4Mac M4V Converter Plus gives the answer NO because it can make iTunes videos watchable on PS3. Let's see below passage to learn how to watch iTunes videos on PS3. What can AVS4Mac M4V Converter Plus do for you? Download and install the latest version of AVS4Mac M4V Converter Plus from below icons according to your operating system. When you launch the program, iTunes will be automatically opened with it. Please do not operate on iTunes during the whole converting process in case some error may happen. On the upper left interface of AVS4Mac M4V Converter Plus, click "Add" button to add your iTunes purchased or rental videos to the program for converting. Please note that iTunes rentals can also be added and removed DRM forever by this program. Go to the list next to "Convert to", you will find "Sony PS3" in the group of Game console in output profiles. Do not need to do any other settings. Click "Convert" button on the bottom left interface to start the conversion. Please note again that do not do any operations on iTunes in case that some error may happen and no converted files will be got. How to transfer converted iTunes videos for PS3 for playing? One of the highlights of PS3 is that it supports Blue-ray disc as its primary storage medium, which means that burning converted iTunes videos to Blue-ray Disc to be played on PS3 will give you a great experience in enjoying high-definition iTunes videos. It is very easy to set multiple sound effects of speaker and play smooth 1080p movies. DVD is another PS3 supported media. DVD is also a high definition storege media though not as good as Blur-ray disc. If you have DVD discs on hand and find a good and free videos to DVD burner such as Any Video Converter Free, then it will be a good choice to burn converted iTunes videos to DVD to be played on PS3. Supporting USB makes it possible to directly transfer converted iTunes videos from PC to PS3 for playing. 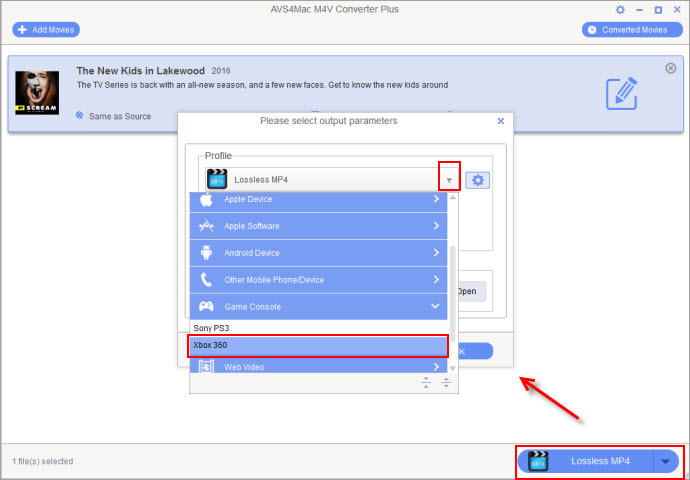 Since PS3 also supports playing AVI videos, you can also choose "Customized AVI Video" as output format in the above converting process. Note: The trial version of AVS4Mac M4V Converter Plus only allows one minute conversion. You can purchase the full version with only $44.95 while the original price is $49.95.